Think you’ve seen the worst movie of all time? Avid film-goers may have a collection of bad nuggets such as Dune, Gigli and Beyond The Valley Of The Dolls permanently seared into their visual memory, but nothing comes close to The Room. In 1996 filmmaker Tommy Wiseau financed, directed, wrote and starred in the conundrum that is The Room. If you haven’t had the pleasure of seeing this movie, find a local arts theatre near you and request a screening. This film is often billed as the worst movie ever made and lives up to its reputation in pretty much every way. But the thing that makes The Room more intriguing than any run-of-the-mill terrible movie is the lack of pretense that leaves you wondering just how intentional its terrible status is. For this year’s Olio Festival in Vancouver, Wiseau made his way north of the border to screen his masterpiece at The Rio Theatre. 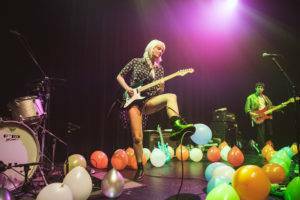 The Rio is known for it’s dedication to cult classics, and promotes midnight movies every Friday night – which is often when The Room is screened. They were also the masterminds behind An Evening With The Quaids and continue to build themselves up as a presence in the local film scene. Initially The Room was scheduled for one showing with a Q&A with Wiseau, and a Master Class script workshop taught by the auteur. By the end of the weekend, Wiseau had committed to three screenings with Q-&-A’s due to the overwhelming ticket sales. With each showing, Wiseau rolled up in a limo to a crowd of adoring fans snapping pictures to prance the red carpet into the theatre. At the Sept 24,9:30 showing, Wiseau spent nearly an hour signing every poster and DVD purchased, and posing for pictures. 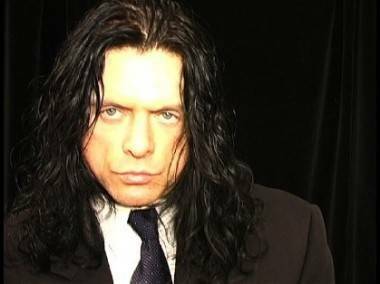 Wearing a black suit, lime green shirt, and red tie, there was no doubt that Wiseau’s rumoured eccentricity had not been exaggerated. He soaked up the attention and did a quick intro, answering a couple questions, before the screening began. The Room was terrible and awesome, but the real fun came with the Q-&-A session afterwards. Wiseau answered questions with a seemingly split personality. It was never clear why some questions were rewarded with a “That’s a greeeeat question” and cryptic answer, while others got a brusque “dumb question, move on next one.” Tommy did however invite anyone who wanted a signature/picture to the stage and ensured that no one left without their desired swag. He even made a harried attempt to answer questions while signing and taking photos – mostly this just took longer, but Wiseau seemed happy that he was multitasking so well. We also learned that Tommy’s favorite drinks include Courvoisier and “a screwdriver”. There was no mention of Skotchka, the combination of scotch and vodka made famous in his film. Wiseau doesn’t seem to care where the attention surrounding his movie comes from, as long as everyone is as adoring as they should be. He seems to live in a dream world, the flip side of which will shut you down on a moment’s notice if you cross a line. 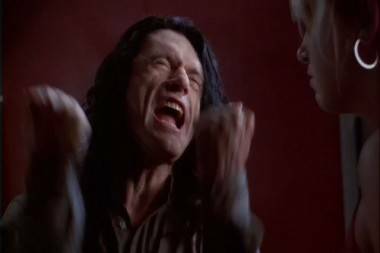 This cultivated reality is probably the best place for Wiseau to exist, and gives him the widest range of appeal to his fans, while still upholding the enigma surrounding The Room. When asked about the Rio’s willingness to showcase films that wouldn’t be seen in the mainstream, programmer and manager Alex Chisholm said that “It is BECAUSE no one else plays them that we want to.” Events like The Room and An Evening with The Quaids are putting the Rio on the map, and give the theatre a niche market in Vancouver’s vast film scene. 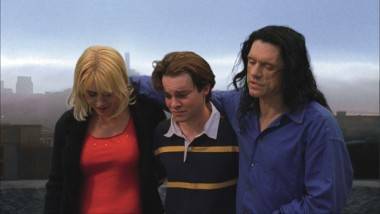 Given the chance to do it over again, I would ask Tommy if he has any plans to ask Evi Quaid collaborate on a sequel to The Room. On a serious note, I’ve decided to switch to sporks for my next viewing. This entry was posted in events, Movies and TV and tagged cult movies, Olio Festival, rio theatre, The Room, Tommy Wiseau. Bookmark the permalink.